Cox Email is included with all Cox High Speed Internet plans and offers freedom and mobility to easily manage your email across any device. Continue reading to learn about creating and managing Cox Email accounts, signing in, features and more. NOTE: It is not recommended to change or delete your primary email address. Create, delete, and reactivate email accounts through My Profile in My Account on Cox.com. To start, go to cox.com/MyProfile, sign in with your primary User ID, and select the “Users & Email Accounts” tab. Don't see the Users & Email Accounts tab in My Profile? You may be signed in to a secondary user account, so try signing out and back in with a primary user account. 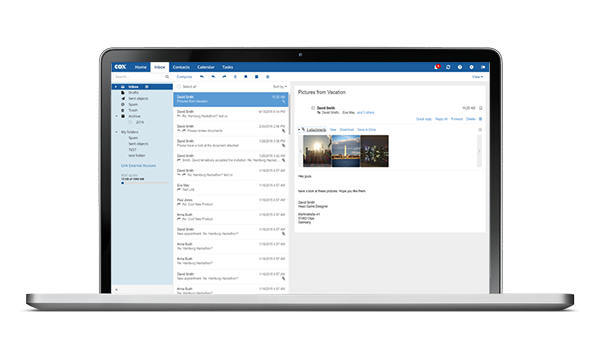 Access and manage your Cox Email anytime, anywhere through the web portal on any device. Go to cox.com/email or go through My Account. Sign in with your My Account User ID and Password. Don't have one? Register Now. You’re all set! Send and receive messages and set up your address book. SMTP: smtp.cox.net, PORT 587 or 465 (secure/SSL) For the outgoing SMTP server, please ensure you re-enter your password. Learn how to report unwanted emails here. We've listed answers to some commonly asked questions below to help you throughout the Cox Email upgrade process. I access my Cox Email on my mobile devices. Will I need to update any settings? No, email settings on your mobile phone or tablet do not need to be changed. For reference, see Cox Email Server Settings. Alternatively, you can point your mobile browser to http://webmail.cox.net and get a brand new WebMail experience on your mobile device. What should I do if I cannot log in to my email? In a web browser, update your saved favorites or bookmarks from webmail.cox.net to myemail.cox.net. After entering myemail.cox.net in your web browser, sign in with your Cox User ID and Password. If that doesn't work, try to reset your password for your account. Refer to Recover Your Cox User ID or Reset Your Cox Password. 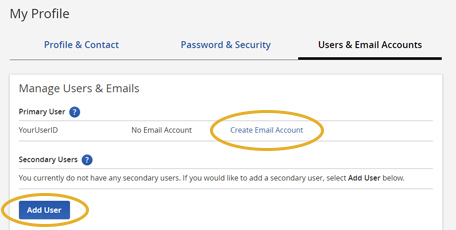 If you are using an email client program, confirm you are using the correct Cox Email Server Settings. If you are still unable to access your Cox Email account, please contact us. Draft, send, and archive email via your web browser. Plus, manage contacts and your calendar. Get help and support for troubleshooting Cox email issues.